Lush Times: Ice Wine is a popular drink around the world, but it’s like catnip to the Canadians. It’s made by taking frost-bitten grapes from the vine and pressing them immediately, which produces a fruity and sweet dessert wine. When Helen tried the wine, she could taste mangoes, passion fruit and other tropical fruits. This tropical explosion inspired her to add real Ice Wine, along with fresh grape infusion, to a jelly base to create her own version of a tropical cocktail. Simon’s fruity fragrance was the icing on the cake. Keep it in the freezer for a refreshing wash.
Here’s a demo video i did of Lush Carrot soap. The 2018 version has a different scent and is made with different ingredients. 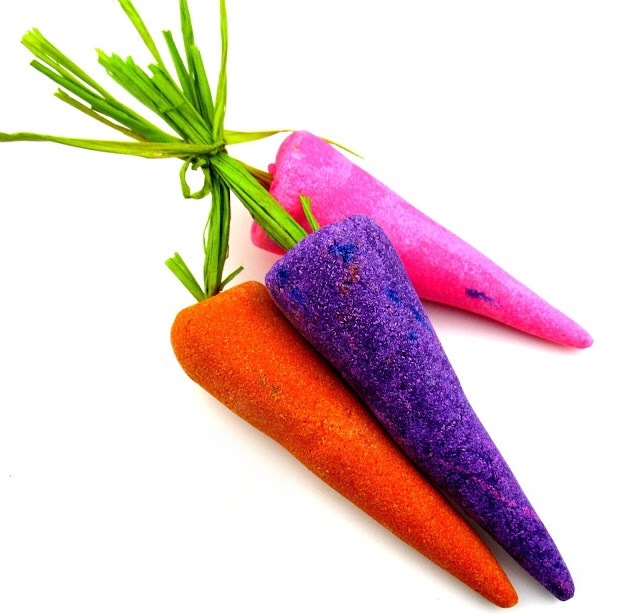 Dig up the dirt on refreshing tropical bathing with this adorable trio of carrots. 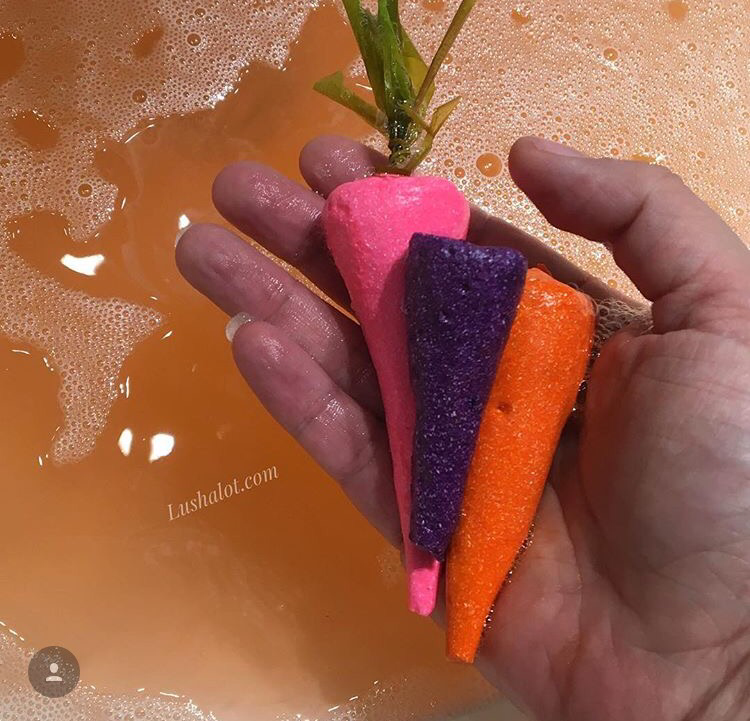 Hold one of these reusable carrots under running water to send bubbly clouds of buchu, lemon and grapefruit oils scurrying across your bath, and then pop it on the side for next time. The distinctive, bright colours of this heritage bunch make it an attractive addition to Easter baskets and Easter bathtimes alike.